The National Youth Caucus of All Progressives Congress (APC) has held a special prayer for the quick recovery of Yusuf Buhari, the son of President Muhammadu Buhari, who was involved in an accident. The News Agency of Nigeria (NAN) reports that no fewer than 2, 000 members of the APC youth wing gathered in Abuja on Friday to perform supplications and seek divine intervention for Yusuf. The youth caucus also offered special prayer for sustained peace, unity and progress of the nation as well as guidance for its leaders. Similarly, prayers were conducted for continued good health of President Buhari and the success of his administration. Briefing journalists, Mr Haruna Okatahi, Publicity Secretary of the caucus, said Yusuf deserved sympathy of all Nigerians, especially the youth, due to the enormous sacrifice his father was making to re-position Nigeria. Okatahi said thousands of youths were now benefiting from the N-Power Programme, which recruited unemployed graduates to work as teachers, agricultural extension workers and health extension workers, among other jobs. He also commended the Federal Government for adopting holistic approach toward addressing fuel scarcity in the country. 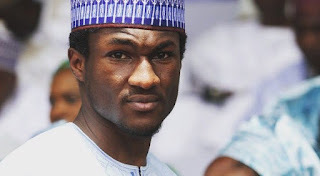 “ This prayer session has become necessary for us to show our sympathy to Mr Yusuf Buhari, son of President Muhammadu Buhari, who was involved in accident few days ago. “ Yusuf deserves our sympathy and the sympathy of all Nigerians, especially the youth who are among the direct beneficiaries of Buhari’s programmes and policies. “ We pray to the Almighty God to heal him and increase his good health and that of his father so that he will continue the good work he has started,“ Okatah said. He said that Yusuf had the accident on Tuesday night around Gwarimpa area in the Federal Capital Territory (FCT), Abuja. According to Shehu, Yusuf broke a limb and also sustained an injury to the head as a result of the incident.